Today I have joined up with three other bloggers to share our paper flowers. 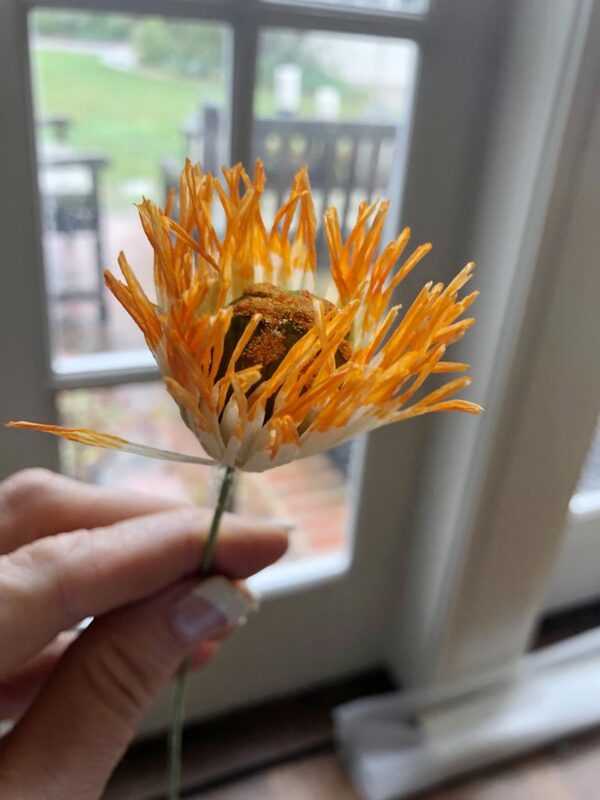 Be sure to scroll to the bottom of this post to see their amazing flowers. 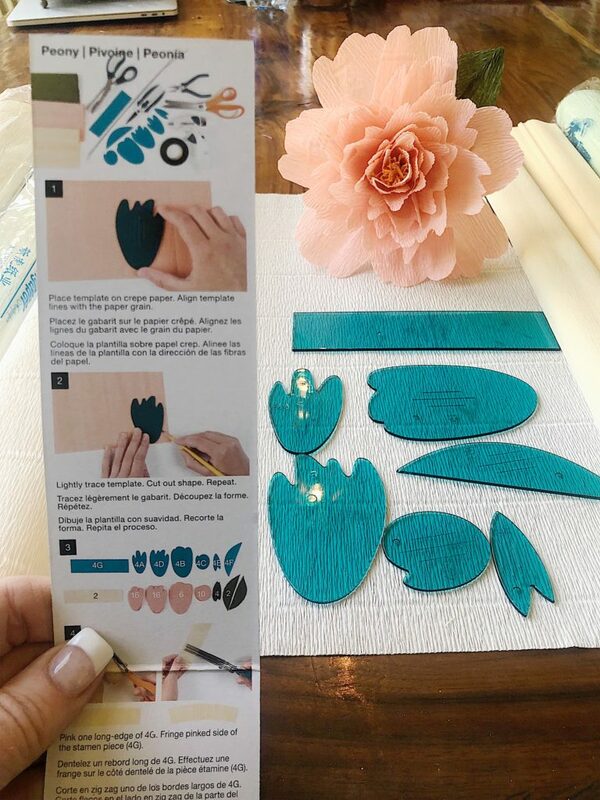 You will also find the DIY how-to video I created which explains how I made a paper poppy flower. 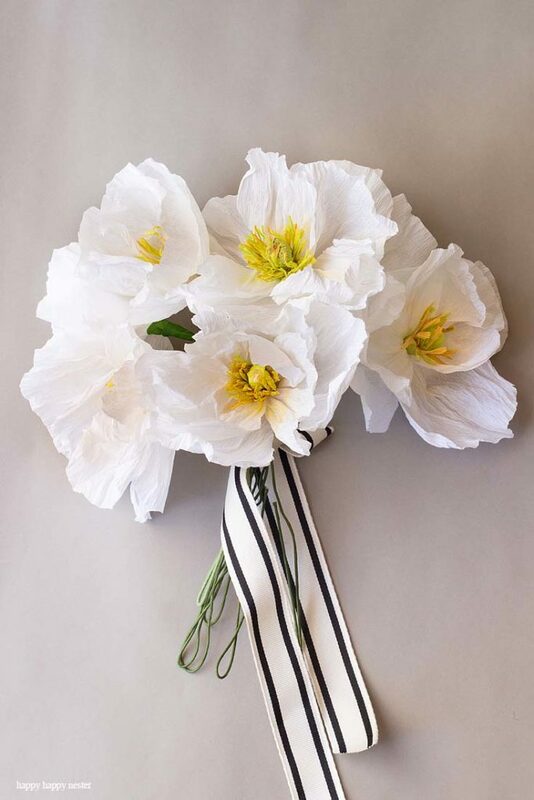 I started out making poppy paper flowers, then made paper peony flowers and next made quince branches. 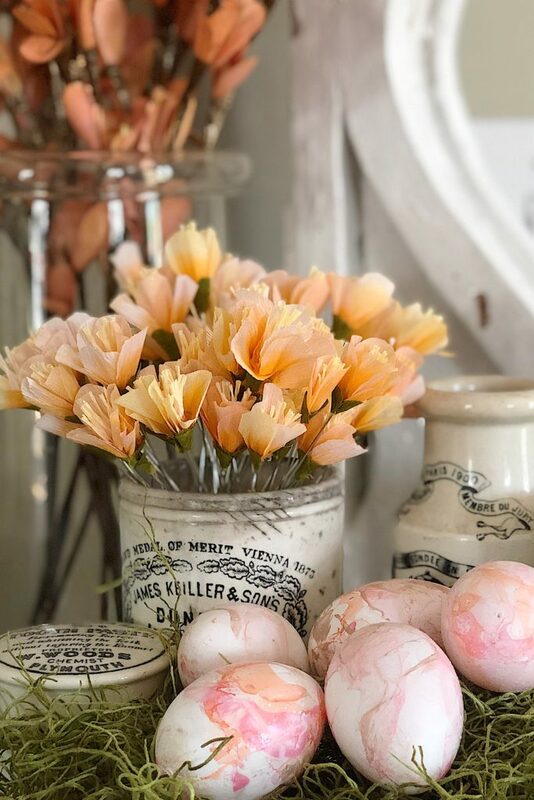 The photo below shows the quince flowers I made. I still need to attach them to the branches. But I really like them how they look here too! 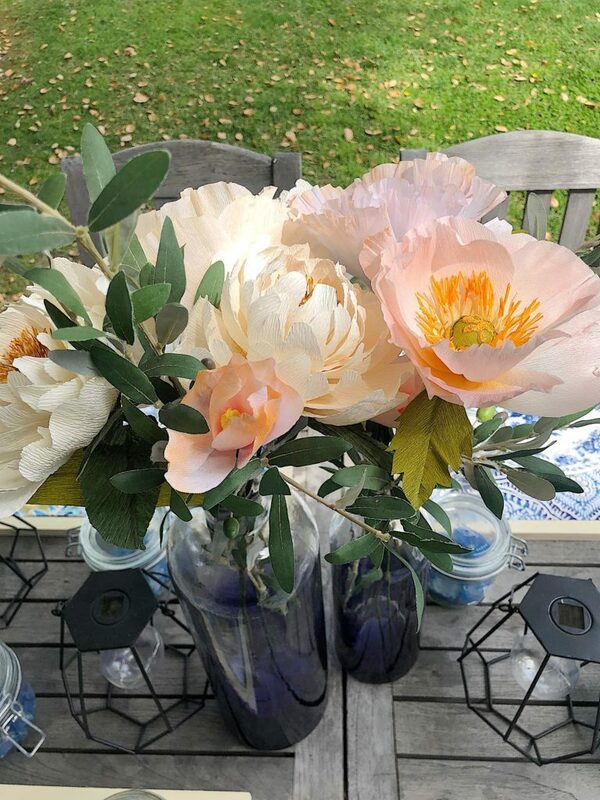 I also made some paper peonies and added them to a wreath. JOANN carries paper flower patterns which were created by the very talented Lia Griffith. 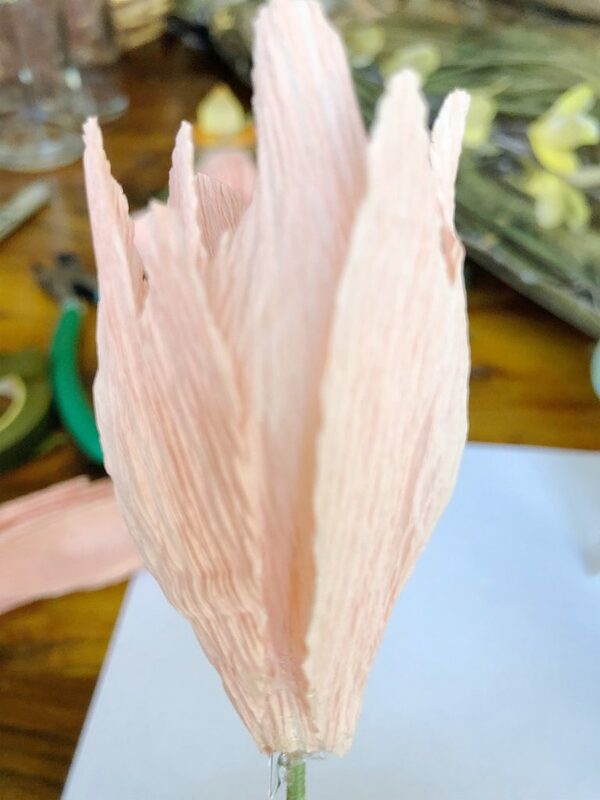 One of my favorite parts of paper flower making is making the stamen. Did you know there are scissors that cut crepe paper in thin strips? It is amazing the difference a gold felt marker can make! 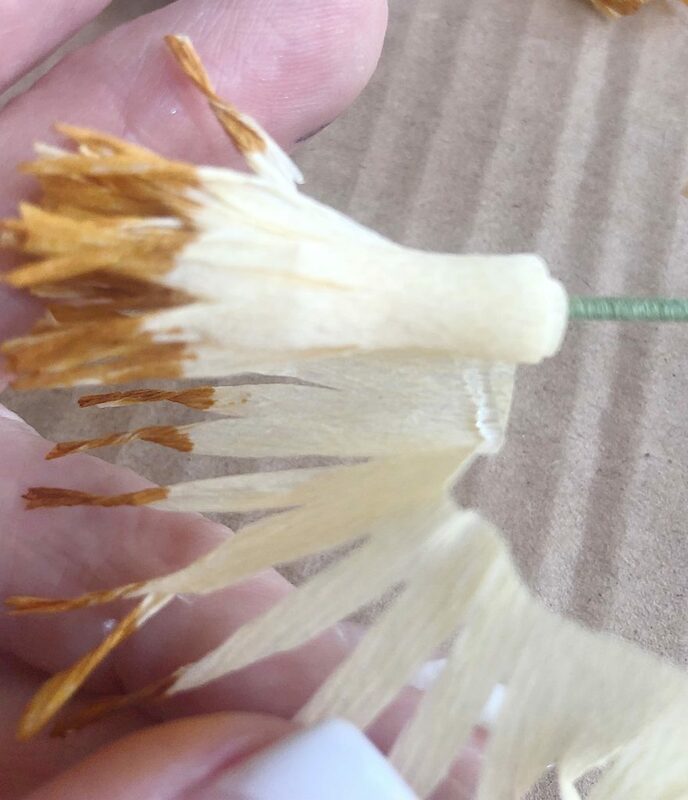 Here you can see how the flower is put together. 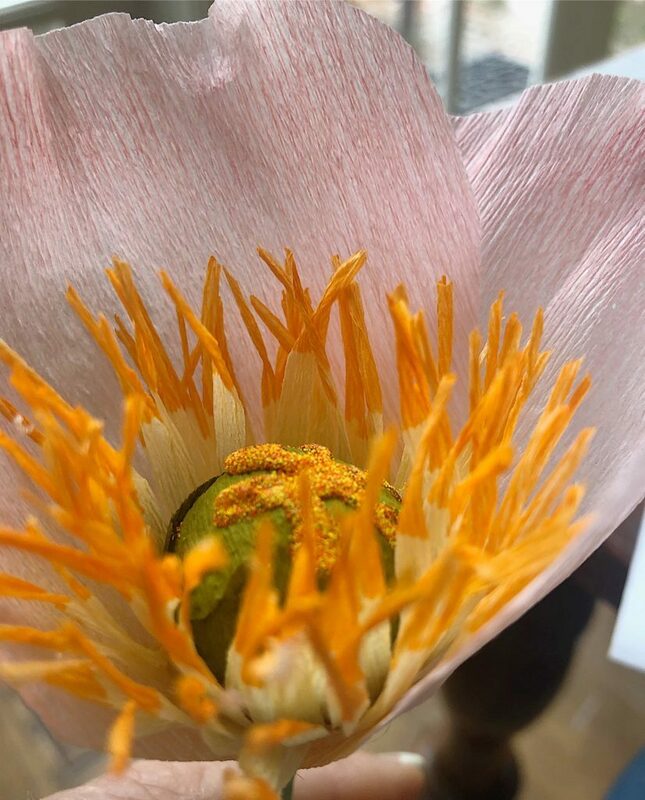 The petals are just glued to the stamen. 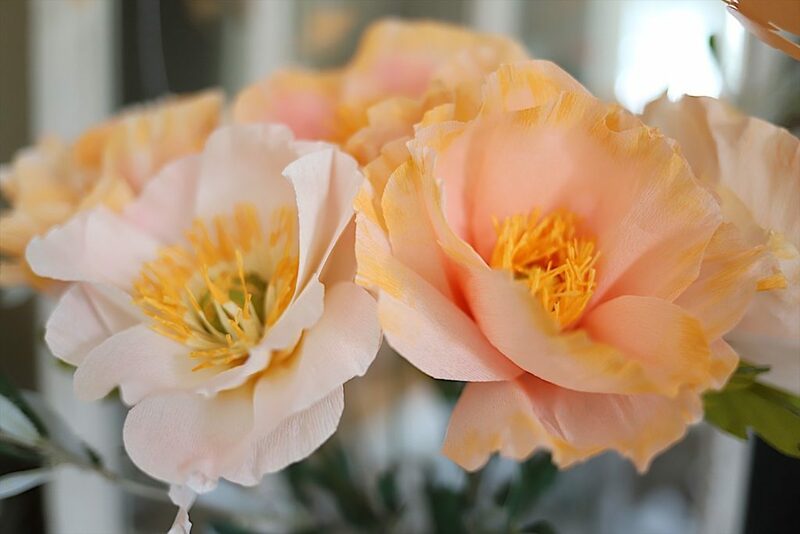 I love how the peony petals create a beautiful flower. 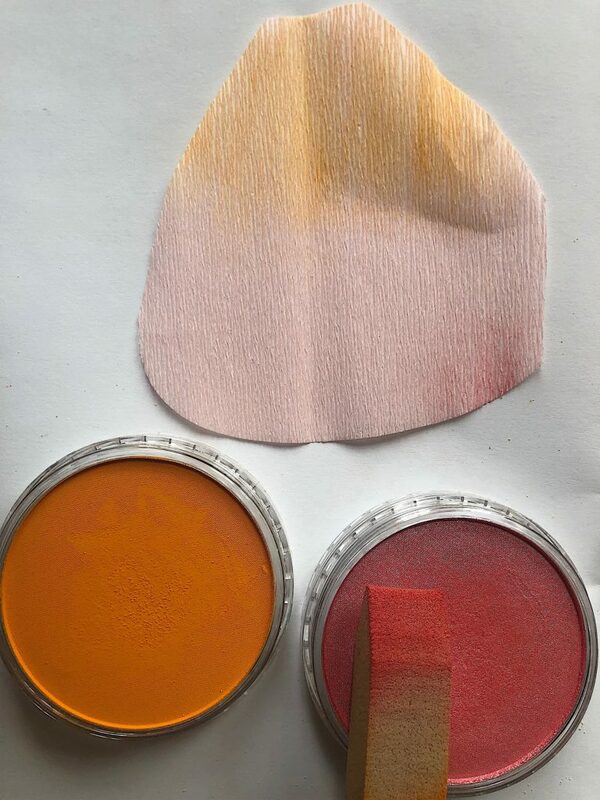 I also use Pan Pastels to color the petals. It makes all the difference in the world. 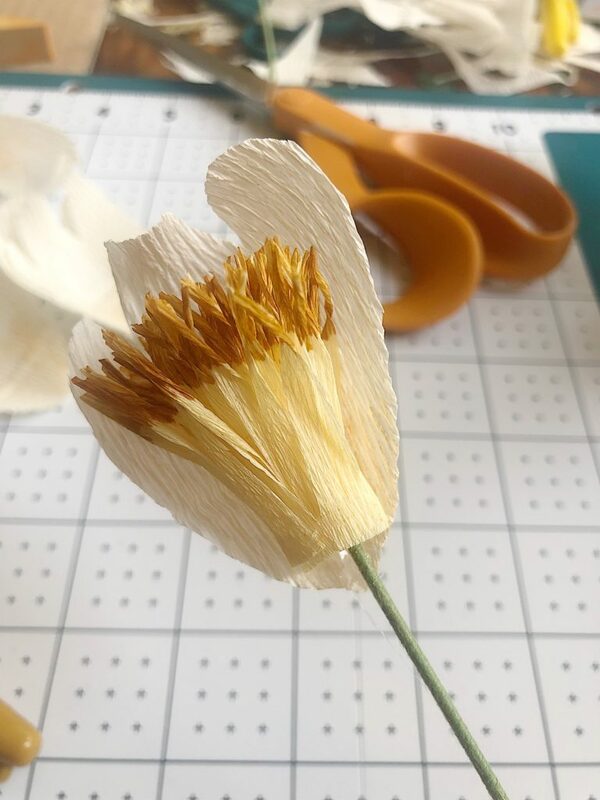 Before I share the video I created on how to I made crepe paper poppy flowers, I wanted to share the supplies you will need to make poppies (and most paper flowers). I hoped you enjoyed the video! 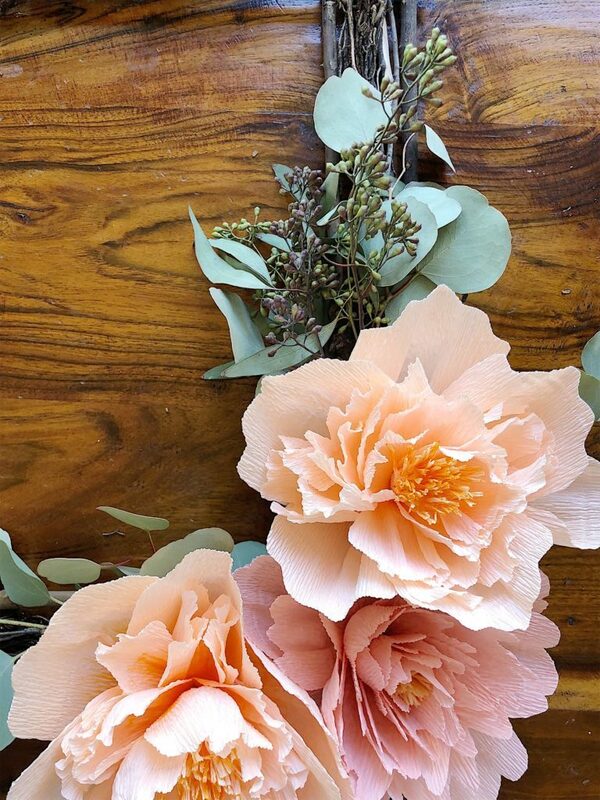 Here are some more posts about paper flowers by my blogger friends. 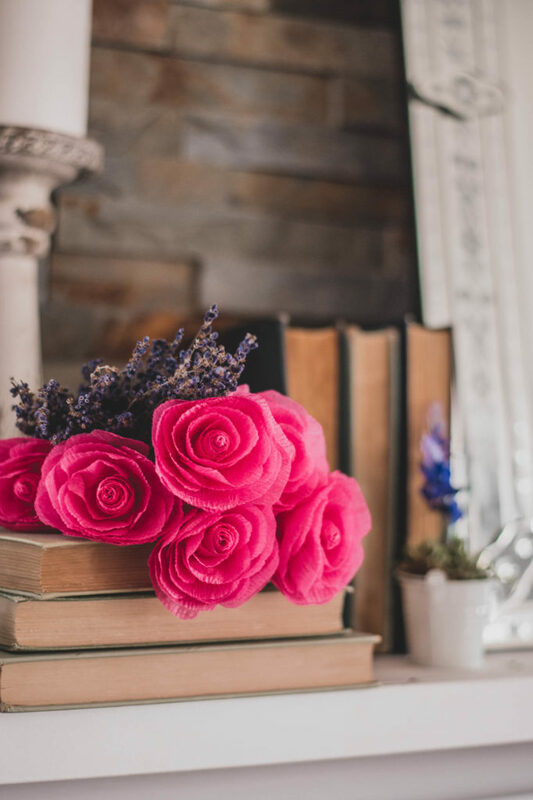 Christina from the DIY Mommy shares how to make easy paper roses with dollar store streamers. You aren’t going to believe how easy these are to make. 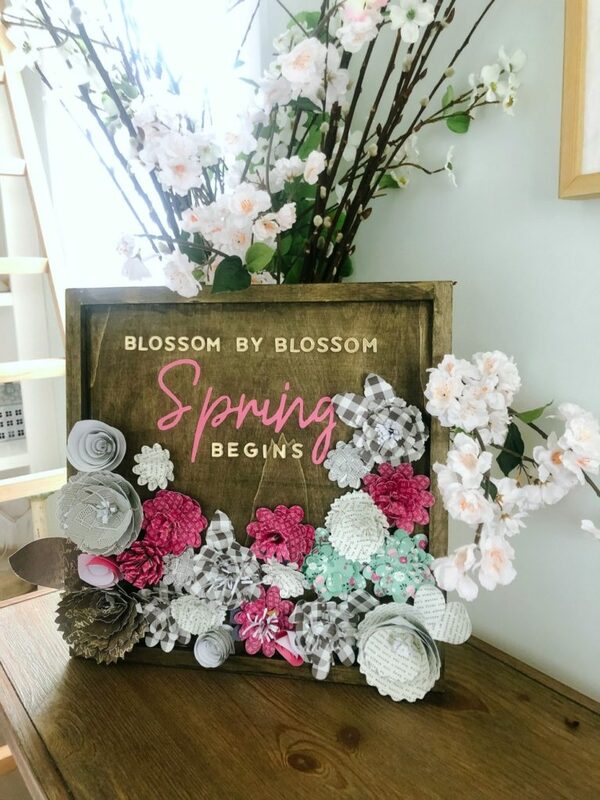 Jennifer from Tatertots + Jello made easy spring wall art with paper flowers. How adorable is this? 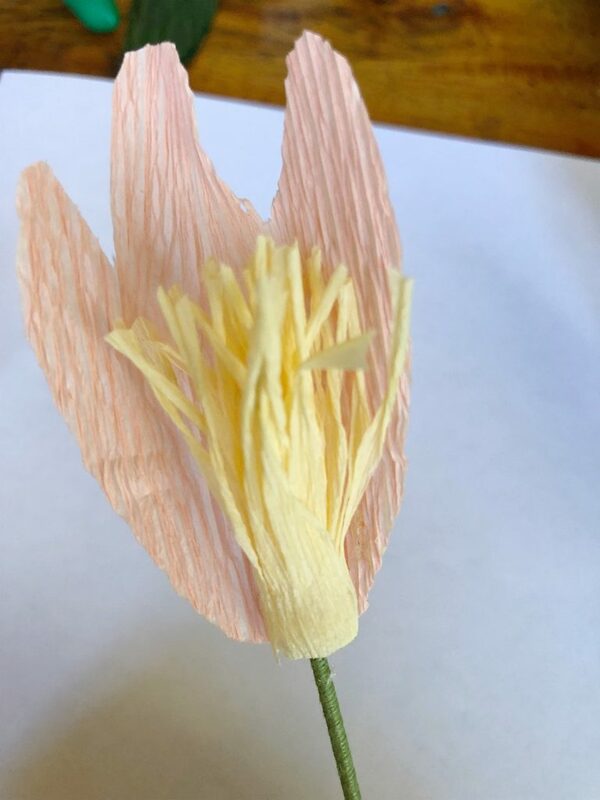 Janine from Happy, Happy, Nester made some wonderful crepe paper flowers. I love her minimalist palette. It’s gorgeous! 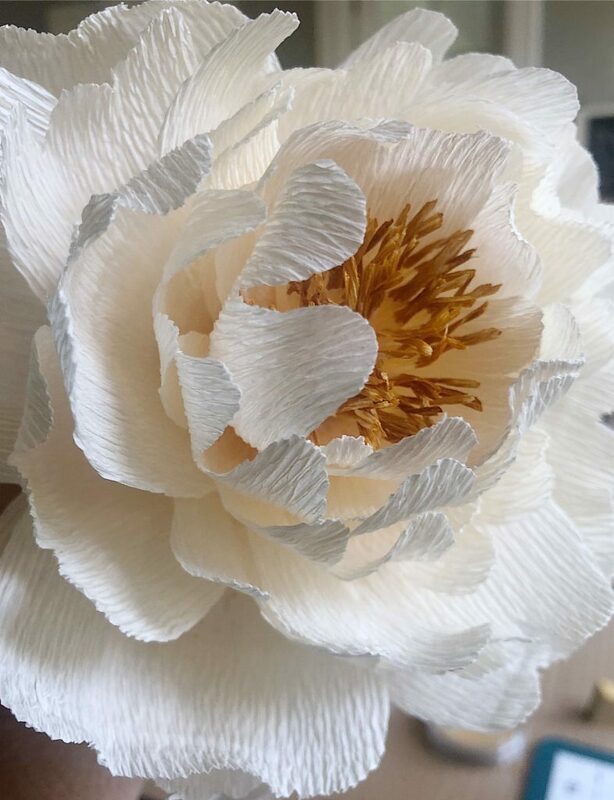 I hope this blog post has inspired you to try to make paper flowers. It’s so much fun and the end result is gorgeous. Be sure and watch my video and let me know what you think! Wow Leslie! They look so real! Beautifully done! Love these. Thank you for sharing the techniques.